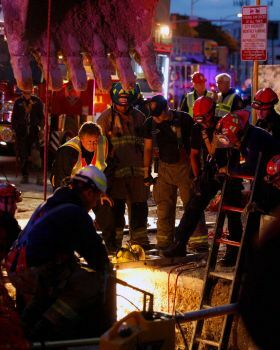 SAN ANTONIO – A worker who was trapped in a downtown trench for 90 minutes on Monday is now resting at home. 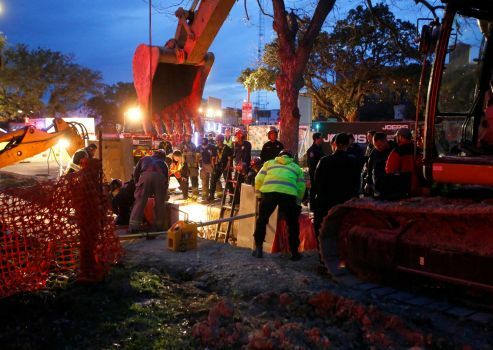 Anthony Flores, 63, was working on a street drainage project when he became trapped in the trench shortly before 5:30 p.m. Monday, according to Melissa Sparks, Spokeswoman for the city’s Transportation and Capital Improvements Department. Flores is an employee of Jerdon Enterprise, a company that has contracted with the city of San Antonio to make improvements in and around Hemisfair Park. 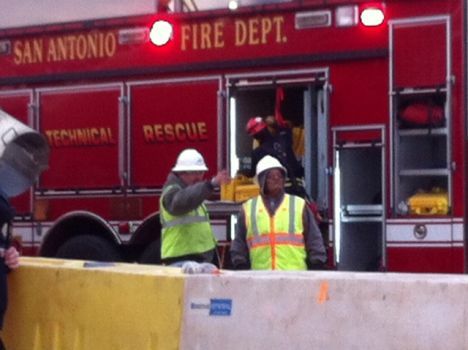 San Antonio firefighters spent about 90 minutes trying to reach Flores and free him. Flores reportedly was stuck in a 20-foot deep trench and buried up to his thighs with a mixture of sand, water and concrete. 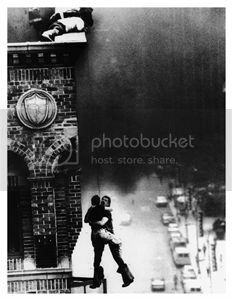 Because of low temperatures, firefighters were concerned that Flores could suffer hypothermia or other health issues. However, Brandon White, a project manager who works for Jerdon, said Flores was injured. After the rescue, Flores was taken to a hospital as a safety precaution then spent the day recovering at home, White said. Meanwhile, Flores’ coworkers, were back at work Tuesday morning, patching up the trench on Cesar Chavez Boulevard where they had been working to install new drainage pipes. Also on site were inspectors from the Occupational Safety and Health Administration, who took notes and snapped photos. It is customary for OSHA to conduct an investigation after any on-the-job death or injury. Calls placed to the federal agency’s offices for more information on Tuesday morning, both in Washington, D.C., and Dallas, were not returned. A records search on OSHA’s website showed that the agency conducted a previous trench inspection on a Jerdon Enterprise construction site, in China Grove in 2011. The record shows that no violations were found.